Joseph Looking Mountain was a young Taoseno in his mid 20s when I first met him. He shared with me something about Thanksgiving that I have remembered and made part of my life since. Joseph was raised in the traditions of the centuries old village of Taos Pueblo, by his grandparents, both in their 80s. When he became of age he took his name from a vision he had near Blue Lake. 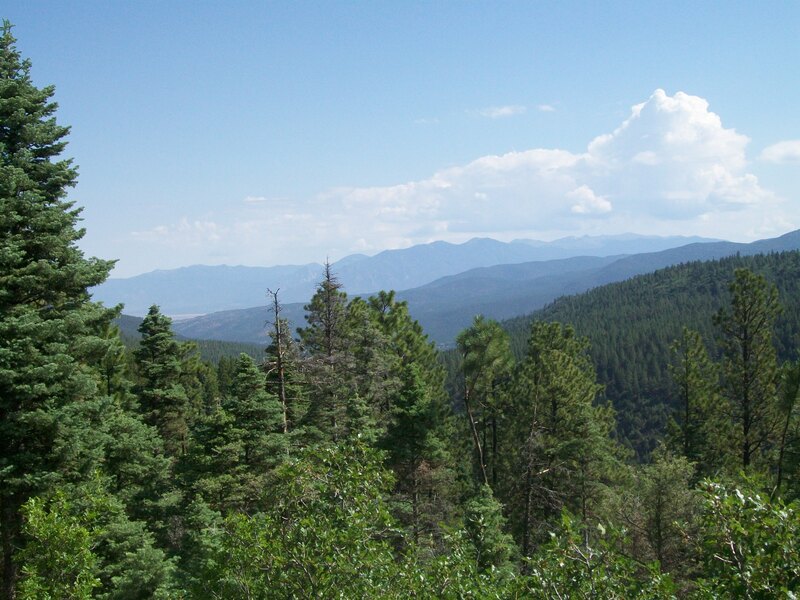 http://www.sacredland.org/taos–blue–lake/ “The mountain sees everything in that whole territory, he told me. Like an eagle flying up, looking around, looking around at all the things. I want to see whats going on in the different places”. His vision was of the mountain watching over the fields and forest and the doings of all the creatures. He would be as the Looking Mountain. Joseph Looking Mountain had only recently moved from the pueblo and his grandfathers adobe home. His first venture into the wider world. He lived across the dirt alley from me in a 1970s turquoise and white, single wide mobile home emblazoned with a chrome emblem: Great Lakes. “Who would of thought I would come so far from my village and be living in the Great Lakes” he would laugh. He would knock on my screen door and shout “Hey Dohn, I came all the way down from the Great Lakes to visit, Ha,ha,ha”. He would tell his friends that life was much different now that he had left the village and was living in the Great Lakes (Espanola, N M ). One evening I invited Joseph over for dinner. Bowls of vegetables and potatoes were passed around and the plates were full. Joseph sliced a piece of meat layered it with a few vegetables, quietly got up and walked outside. A few minutes later he came back in, sat down and resumed conversation. Several days later we were together having sandwiches for lunch. Before beginning to eat Joseph tore off a corner of bread, excused himself and walked out the back door. In a moment he came back and started to have his lunch. “Every day is Thanksgiving” he said. “A sandwich, nothing special” I replied. Joseph went on; In my Grandfathers house at the pueblo we did Thanksgiving every meal. For all our food we are Giving something to the Mother Earth and then a prayer of Thanks, after that we would sit and share our food. Giving something back to the Mother Earth is a good way to say thank you whenever. I take a little of my food before I eat and put it somewhere outside. It is good. If a bird eats the bread that is OK. If worms eat the fruit that is OK. It is all for the Mother Earth. I’ve adopted Josephs philosophy (with modifications). I get a great satisfaction when I can give something back to the Mother Earth as thanks. For all the variety and bounty that the Earth provides I am grateful. My small offering is miniscule but the physical act of giving fortifies my connection with the Earth. A prayer of thanks connects with the spirit. The nutrients and matter of the gift goes on to replenish the soil. An apple core, an orange peel, a few eggshells are all an opportunity for giving thanks. The top slice of a tomato or a handful of potato peels getting tossed into the garden or field, allowing for a quiet moment, a nod of the head and thank you. When I empty the kitchen compost bucket out in the bin I take a moment. My gift is good. If a bird or rabbit happens by, that is good also. Whatever food, bouquet or flower lei can be a special giving. A moment of thanks. Local customs are being dragged out and family traditions dusted off as the Thanksgiving holiday is near. I’m reminded of Joseph Looking Mountain and how he shared with me, to have a different kind of Thanks Giving. His viewpoint of the American Thanks for Giving or a Native American Thanks with Giving. This entry was posted in history, Nature, the hungry brain and tagged preservation, Society. Bookmark the permalink. what a beautiful story! thank you so much for visiting my blog and leading me to it. i’d like to add another gift to my own thanks giving list: the gift of new perspective. Happy Thanksgiving! So true to give back. Just tossed some bread out for the birds & squirrels. What a WONDERFUL tradition. Bless you.